June | 2015 | WorstPlans.com updates every Monday! Comprehend the true depths of your decadent consumerist lifestyle with this one weird trick! If you stay in one apartment or house for a long time, you tend to accumulate a large number of superfluous possessions. But it’s hard to get an idea of exactly how much stuff you have. Moving trucks should have a weight sensor on them to tell you how many pounds of stuff you own. This would be like a truck weigh station, only built into the moving truck itself. Then, you could figure out how much stuff you have by just checking the dial (Figure 2). 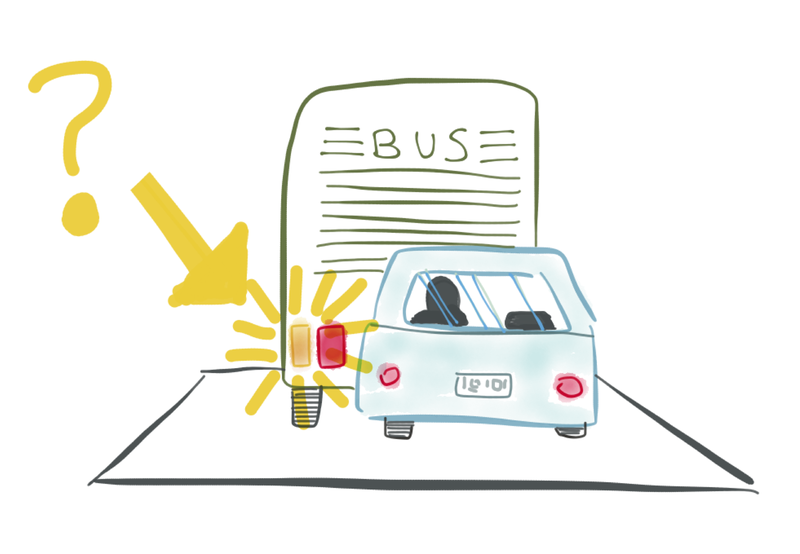 Fig 1: A moving truck. When you fill it up with all your worldly possessions, it could tell you how much all that stuff weighs. Fig 2: This dial would go in the dashboard, right next to the speedometer. Possibly actual weight could be reported rather than just judgmental terms. This feature should be added to every moving van! PROS: It’s a great way to figure out exactly how much stuff you have accumulated. CONS: May hurt the consumer-based economy. Equipping a fleet of moving trucks with scales would add a small cost to each truck. Wouldn’t work for people who hoard extremely light items (e.g., feathers or styrofoam packing peanuts). Many cities have serious shortages of buildable space in the most desirable areas—most land that is available for development has already been taken. Fortunately, there actually is a large amount of unused space in each city (generally, approximately 5–10% of the total area in question). And it’s not even privately owned! All we have to do is allow structures to be built on stilts on top of the roadway. This will shield pedestrians and cars from rain, snow, and hail, and will keep the roadway comfortable and cool even on the hottest days. Additionally, it will increase the number of structures built in the city, which will help fund public education via property taxes. This idea has extensive historical support in dystopian and cyberpunk fiction, so presumably most of the details of it have already been worked out. Fig 1: Building a second layer of city above the roadway would be a great way to increase the tax base and allow people to live closer to their place of work. A) are supports for the second level, which can be placed on the sidewalk just like telephone poles / utility poles. B) is the second level of the city and C) are the houses that are built on top of this platform. D) is the original roadway. E) shows the minimum clearance for the second level (in this example, the dashed line shows 30 feet from the roadway, although the specific heights may be different, depending on local requirements). Fig 2: In this overhead view of a four-way intersection, there are buildings (dark gray) on all four corners and a sidewalk (light gray). There is significant un-built (but highly desirable) space being occupied by the roadway and sidewalks. Fig 3: In this terrible diagram, we see the elevated area (blue) above the street (white). Sidewalks are in green for some reason. Features of interest: A) Staircase leading from the upper level to the ground-level sidewalk. B and C) Elevators. D and E: a skybridge connecting the buildings at near points D and E. F: a skybridge connecting the upper-level buildings directly to the building at F (perhaps it is a shopping center). Who made this diagram anyway, it is awful. Oh well! Sponsored link. Please support our sponsors! PROS: Makes the city more like a cyberpunk dystopia. Adds new buildings that will pay property tax, increasing city revenue. By increasing population density and decreasing commute distance, we create a more eco-friendly city. CONS: Doesn’t work in areas with significant over-the-road infrastructure. Also, this idea never seems to work out in works of fiction. Motel-on-the-Move: The incredible secret to affordable housing in every city! Why are you still paying rent or a mortgage? Housing is incredibly expensive in many major cities. Some people try to cope with high housing prices by living in their cars. However, it is generally illegal to sleep in a parked vehicle. Additionally, there are often restrictions on vehicle height for parked vehicles. None of the caveats above apply to a moving vehicle. The “Motel-on-the-Move” is a standard tour bus that has been converted into a mobile housing development. 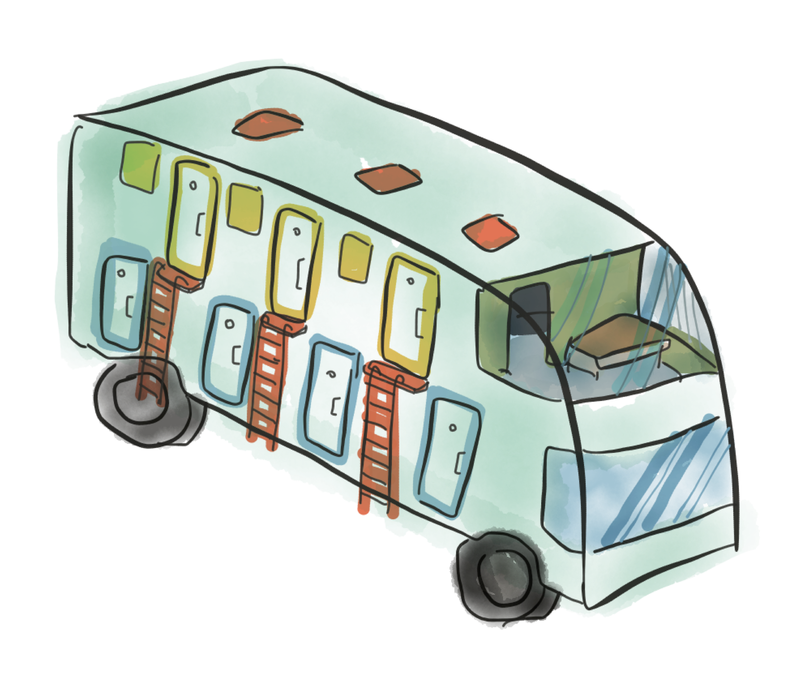 By partitioning the bus along its length (like an old railroad sleeper car, or a Japanese capsule hotel), somewhere between 8 and 48 miniature housing units could be fit into a single bus. 1) By avoiding parking, the inhabitants would not be in violation of city ordinances prohibiting habitation in vehicles. 2) By traveling through the city, the bus-dwellers could obtain door-to-door service to their places of work. The bus’s route could be optimized for the specific inhabitants. Additionally, there might be tax implications; perhaps the bus could spent part of the year in locations with lower tax rates, allowing the residents to potentially benefit from reduced income tax rates. Fig 1: The “Motel on the Move” would be a converted tour bus that would constantly drive throughout a high-rent city. 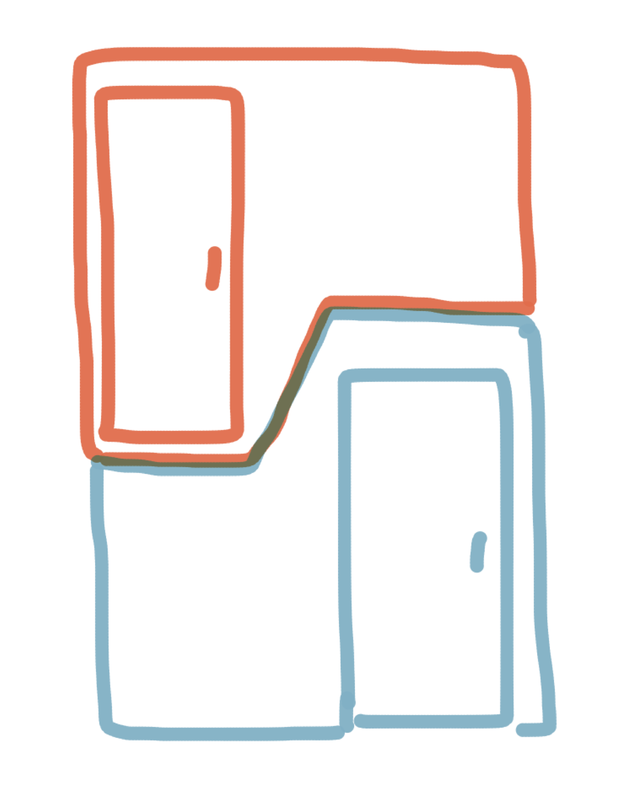 Each door here in the diagram (blue doors on the “ground” level, yellow doors on the “mezzanine”) corresponds to a single extremely cramped studio apartment. Fig 2: A hypothetical floor plan for each unit. A): A bed that can be folded against the wall. B) A convenient window-side chair for reading. C) A window to the outside. D) Apartment door. Opens directly onto the street. E) Extra space for shelves and/or folding tables. F) A drain in the floor. Area “F” doubles as an extremely-low-flow shower. G) Toilet. H) Sink, above the toilet, for maximum space efficiency. A shower head on a flexible nozzle would also allow for showers to be taken in the F-G-H area of the apartment. Resident water usage would have to be strictly limited due to space and weight constraints on the bus. 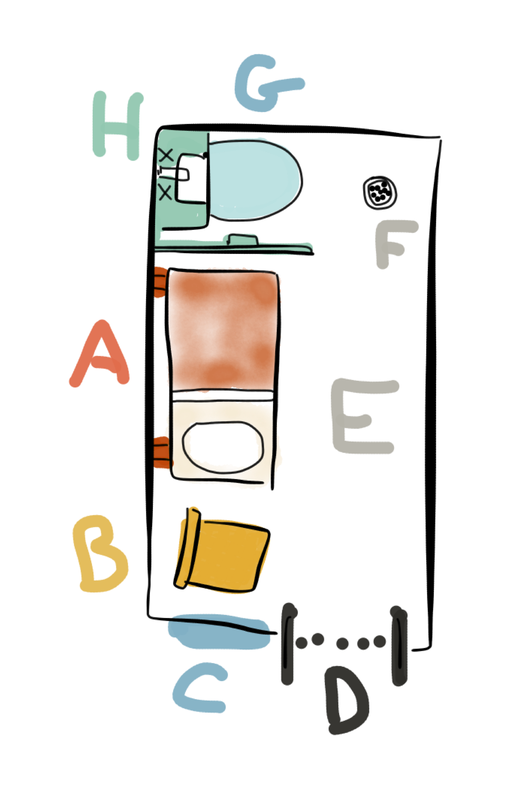 Fig 3: Units could be crammed together vertically by taking advantage of the fact that a 7-foot ceiling is not absolutely necessary across the entire unit. Above, a red unit is stacked on top of the blue unit. In the blue lower unit, the low-ceilinged area on the left would contain a bed (like the bottom bunk on a submarine). In the top unit, the bed would be on a “platform” (really the ceiling of the blue unit) on the right. The cost of running a bus 24/7 and paying for a driver (or scheduling the residents to drive it) might offset some of the rent savings. PROS: Could stimulate the automotive industry. Capsule hotel industry can serve as a template for obtaining venture capital funding.